The rate listed is per person/per night. Big A Cabin is also a rustic &quot;camping cabin&quot; that sleeps 4 people with no running water, perfect for folks who love to camp but who want to sleep under a roof and off the ground. Big A has a screened-in porch for relaxing as well as cooking. 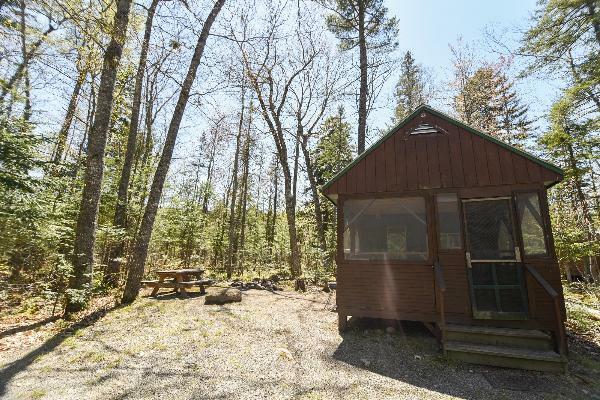 This cabin is in a wooded setting within the main campground with nearby potable water, outhouse, and shower facilities. The cabin is a short walk (2 minutes) from the river. Perfect for a couple, family, fisherman, or a few friends. 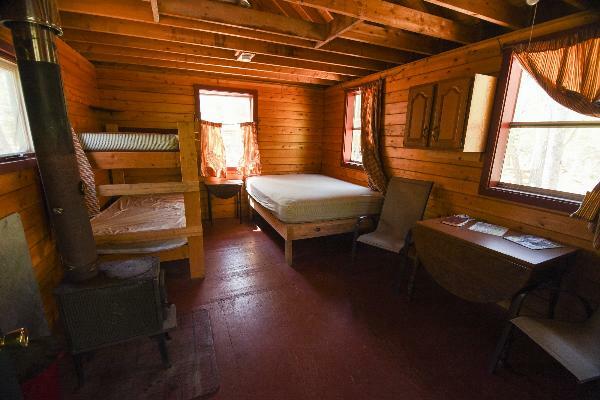 Equipped with woodstove, cookstove, fire pit, picnic table, queen bed and a bunk-bed. No bedding provided. Cabin sleeps 2-4 people. Big A cabin can sleep up to four people. 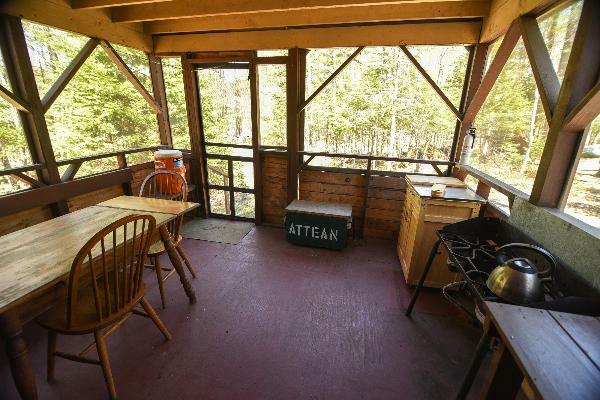 Enjoy the screened in porch that features a refrigerator (not pictured), two burner cookstove, and pots/pans,dishes.